Despite the direct, and various forms of targeting of Turkmen ethnicity in all the cities and areas of their existence, including kidnapping, extortion, bombing and abuse of their lands and property. We see that one of the malicious methods adopted by those who fear the strength and unity of Turkmen society as an original, national component of historical dimensions, and with a civilization can not be bypassed in Iraq and the region, is the use of sectarian and regional division of Turkmen and create internal strife among them. The Turkmen despite of a rich diversity they have, they are under a big tent that brings them together with all Iraqis, is their affiliation within Iraq, their citizenship. The strong association that brings them together with their son of kin and ethnicity inside Iraq and the whole world is the national factor and language with the existence of religious and sectarian diversity and external and internal boundaries separating them. 1- Brigadier Sabah Kara Al-Toun, director of internal affairs in Kerkuk. 2- Ibrahim Ismail/Director of Education of Tuz. 3- Brigadier Nazim Hussein Ahmed/director of citizenship and civil status in Kerkuk. 4- Consultant doctor Dr. Yildirm Abbas with his brother. 5- Munir Al-Qafli, Chairman of Kerkuk District Council and member of the administrative board of the Turkmen Front. 6- Lieutenant Colonel Aydin Rifaat/Director of the Kerkuk Intelligence Unit and its facilities. 7- Ibrahim Jihad Al-Beyati/Assistant Director of Integrity of Kerkuk. 8- Dr. Haider Zainalabdeen, ENT specialist doctor, whose fate unknown till today after he has been kidnapped in kirkuk. 9- Hayat Safa’ eldin, a young Turkmen woman, and a political activist from Beldroz, Diyala, was killed recently in May, by who they call unknown. Despite the presence of dozens of groups, belonging to the gangs and mafia are originally Kurdish, they are in Kurdish prisons or at large, they are accused of dozens of crimes in Kerkuk now. We have never heard statements by a government or security in Kerkuk to disclose the details of their crimes or mentioning their ethnicity or from any area or religious sector. Despite the existence of 60 files in the Iraqi courts in Kerkuk and charges of corruption and theft of public funds by the local government in Kerkuk, those cases were frozen and never dealt with because of the influence of the authority of the local government. On the contrary, the media reported a few days ago a televised statement by the commander of the anti-terrorist forces of the Kurdish region of Kurdistan and then at a press conference of the governor of Kerkuk accusing the Turkmen and Shiites of the city of Tuz Khurmato of committing those crimes. 1- it is very strange that the accused person is dealt with according to his ethnicity, sectarian or regional affiliations, and then the security or governmental authorities focus on that in the media and declare a confirmation of charges against him before he is presented to the judiciary court. This is a violation of the basic rights guaranteed by the international conventions and the Iraqi constitution; this certainly carries hidden objectives, some group worked on it, for years to divide the Turkmen. 2 – This clear selective step in dealing with a crime, the life and fate of civilians in Kerkuk for more than fourteen years and Turkmen are under the weight of terrorism and crimes openly. Who are responsible for them and where is capability of the Kurdish security forces to disclose the details of all these crimes, which killed hundreds of Turkmen and Arab civilians, their qualified individuals, and cost them very large amounts of money because of extortion. 3 – a clear distortion of the reputation of the Al Hashid Al Shaabi, their fighters and formations, which is an integral part of the cheap media to block their real role in their fight against terrorist “Da’ash” and secure the areas that fell under the control of terrorists after the withdrawal of the military forces, which Peshmerga was a part of it. The civilians were left without a protector and defendant in cities and provinces in northern Iraq. 4 – A clear and intentional silence and an attempt to evade the crimes of dozens of Kurdish groups accused of various criminal operations in the province of Kerkuk, some of them were arrested and others are at large and are not presented to the judicial and legal system for fear of detection of the parties behind those crimes. 5 – A clear cover-up by the provincial council and the judiciary system in Kerkuk on files of corruption accusing the local government, those are more than 60 cases of corruption and theft of public money. The destructive acts and abuses of the civil and social peace by the local government in Kerkuk have become intolerable and warn of serious consequences for the future of this diverse city in its composition and population. It needs intervention by all state legislative, judicial and security institutions to put an end to these crimes and atrocities occurring in Kerkuk in the name of democracy. Under the slogan: Al Rafidein Region is a definite guarantee for the stability of minorities in Iraq. The Turkmen, Assyrians, Yazidis, Shabak, and other minorities are considered to be among the original Iraqi societies, as evidenced by the various civilizations of Iraq for thousands of years, as they lived, built, and constructed this area of the land between the two rivers, or the land of the valley of the two rivers, and they paid for it with the blood of their children and did not leave this good land despite the genocide campaigns against them throughout history and the disregard for their rights by the successive Iraqi governments to this day. Their share of international terrorism since 2003 has been the largest, the worst of which was the attack by the criminal takfiri ISIL gangs after June 10, 2014, which caused the emigration of hundreds of thousands of them, destroyed their religious and societal heritage, killed, raped, and kidnapped their women and children, burned their bodies, and made dozens of mass graves for them, out of hatred, malice, and reprisal against them. After all of the genocide, ethnic cleansing, persecution, abuse, and injustice that has happened and is happening, we, the organizations, working in the name of the persecuted national societies in Iraq decided to join in a coalition that brings everyone together in order to defend our presence in Iraq, the land of our forefathers, to strive to achieve stability in our region through all democratic and civilized means, to protect the unity of Iraq, and to regain our rights by virtue of the Iraqi constitution through legal means. As such, we announce a coalition that brings together each of the following: the Turkmen Rescue Foundation, representing the Turkmen, Al Rafedin Organization, representing the Assyrians and Christians, and the Yazidi Independent Supreme Council, representing the Yazidis. 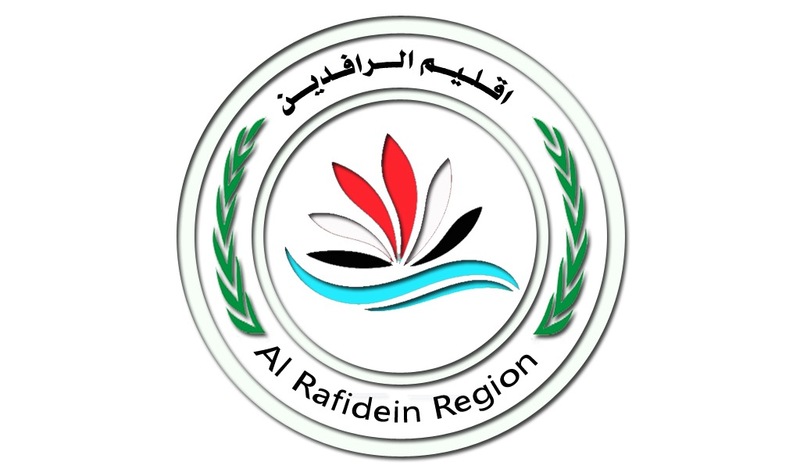 Considering that it is a strategic national coalition, it is titled as the National Coalition for Al Rafidein Region. 1. Working to provide the most important requirements of “Al Rafidein Region,” which shall include three provinces (Sinjar, Talafar, and Nineveh Plain) as a region of multiple Iraqi nationalities, religions, and cultures, free from any racial or sectarian entrenchment, and give a new face to the practice of democracy in Iraq after the failure of the Iraqi regimes to protect the smaller nationalities and societies living together within the borders of the new region. 2. Acting based on the foundations of the Iraqi constitution which allows the formation of new regions and provinces and gives the right to all nationalities coexisting in Iraq to self-administration, the protection of heritage, culture, and civilization, according to Section Five / Chapter One / Articles 112, 115, and 116 of the permanent Iraqi constitution of 2005. 3. 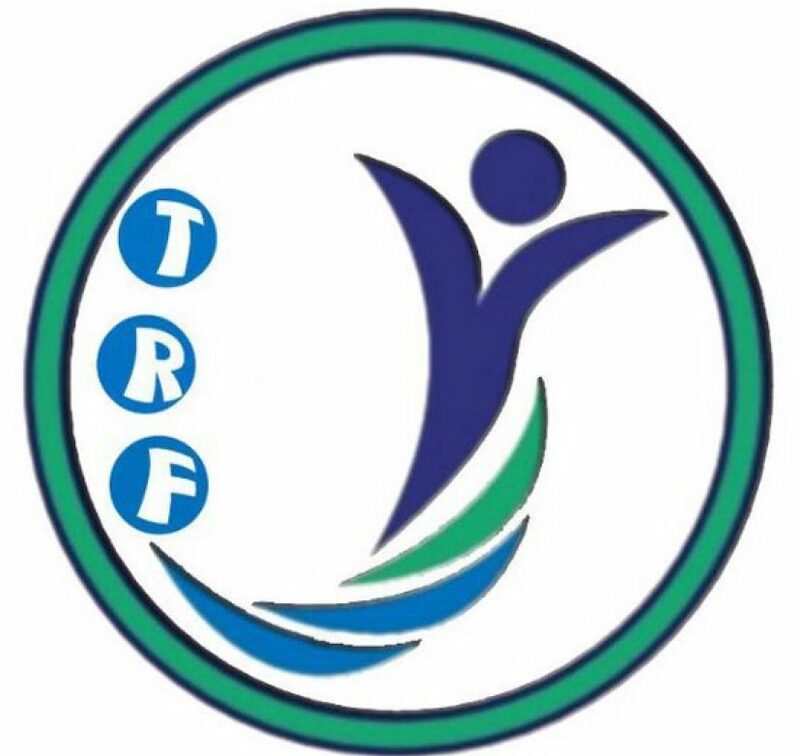 Obtaining national, international, and regional support in order to establish the Rafidein region, and to send messages of peace and security to all that the goal of the project is to practice constitutional, administrative, and humanitarian rights, and to protect the smaller original societies in Iraq, using the principle of openness in relations with everyone. 4. Using the principle of dialogue with all entities in Iraq and to adhere to good neighborliness with all neighboring parties. 5. The doors of the coalition shall be open to all political and societal organizations and formations that belong to the nationalities and societies that live within the map of the new region for the purpose of joining this coalition. 6. Confirming the unity of Iraq in its lands, people, and heritage, and strengthening the national-social fabric. The call for the region is the confirmation of the practice of the constitutional rights granted to all, to prevent the recurrence of calamities, genocide campaigns, and slaughters against smaller societies, and to protect them; it is not for the purpose of dividing Iraq. We pray for Almighty God to bless this effort to eradicate the persecution and injustice that we have suffered for centuries and to this day, and to grant us success in achieving our higher goals, as success is from God. Despite the vicious attack perpetrated against the Iraqi people by gangs of crimes and terrors for more than a decade, and in spite of the accusations directed against the security and military Iraqi forces who are fighting the fiercest organization on earth and resisting such criminals by the blood of Iraqis to prevent further crimes, and in spite of the mass protest movement in Iraq during the past few months to reform the political system in the Iraqi state and to eliminate the quota system and the division of privileges and positions in the Iraqi state on the basis of sectarian or partisan rules, and in spite of the promises given by institutions of iraqi state to reform the political system that brought the country to the abyss because of the corruption of political parties and quotas abhorrent and in spite of the technocrats’ logo raised to repair the system and combat corruption by positioning them in authority places to convince the international community to help Iraq and get out of the hard economic and security situations, in spite of all mentioned facts one can see today how one of the most important institution in Iraqi state that are supposed to be independent and used for non political issues and its main function is to defend the human rights and Iraqis rights and resist all kinds of fierce attacks against Iraq by the civilian ways, media and all democratic tools, it is the Human Rights Commission which unfortunately, will turn into parties’ Rights Commission because of political pressure exerted against the committee supervising the selection of the new members of human rights commission, and unfortunately, it will be subjected to the authority and control of the ruling parties and also will not issue any humanitarian report related to the rights of Iraqis or to defend Iraq in a professional manner. It is also observed despite the fact that minorities in Iraq are more affected by terrorism and they have been abandoned, slaughtered, burnt and their women abducted and became captive by the terrorist gangs and the the criminal groups committed numerous mass graves and massacres against them, we can see how this commission will be free from any name that will represent the minorities with all their diversity, which is an injustice and another kind of terrorism against the oppressed communities in Iraq. We demand and call the religious authority in Najaf ( Marajaaia ), UN mission in Iraq, the presidency of republic of Iraq, parliament and ministers to intervene to keep these institutions away from the political quota system and make such independent bodies to defend Iraq and the rights of Iraqis, through selection of a group of dedicated professionals to the issue of human rights.